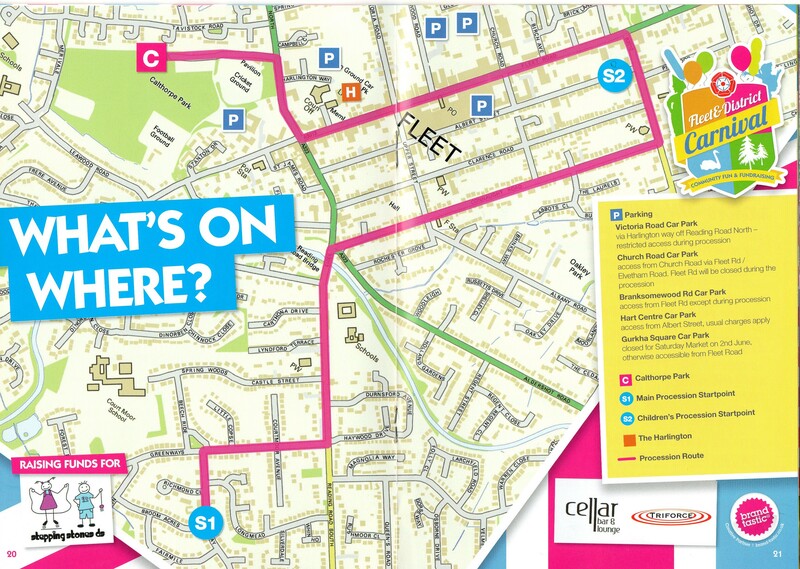 The Fleet Carnival Grand Procession is taking place this Saturday, 2nd June (14:00 – 17:30), and Fleet Pond Society (FPS) will be taking part. The procession route this year is given in the map above (please click to enlarge). 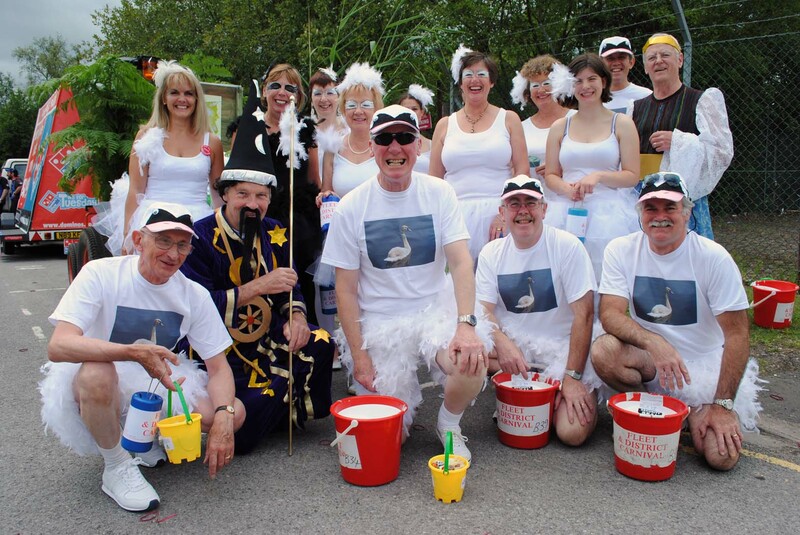 Full details on the 2012 Carnival can be found on the website, Facebook and Twitter. There are a wide variety of events planned from Saturday 2nd June to Tuesday 5th June, so please take a look! All profits raised from the carnival for 2011 were dedicated to FPS’s Clearwater Campaign, so a very special occasion for the society. 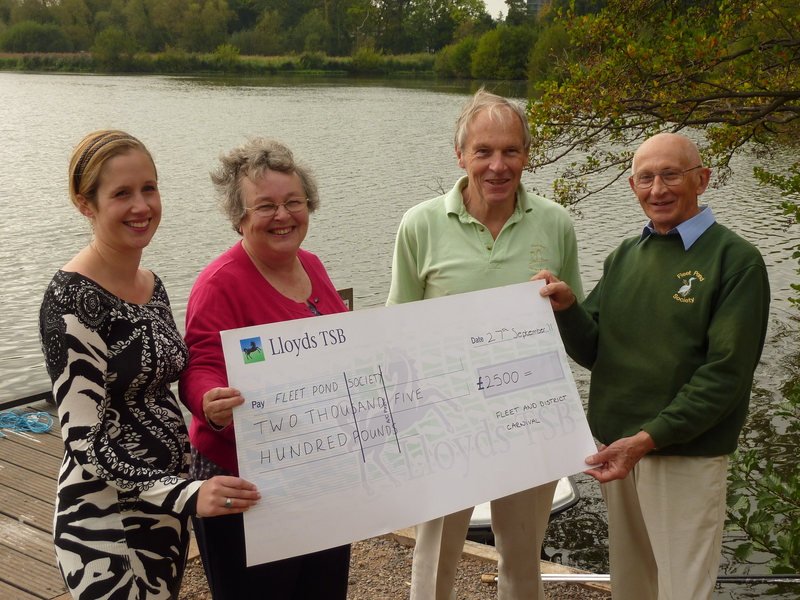 This resulted in a magnificent cheque for £2,500 (see above)! 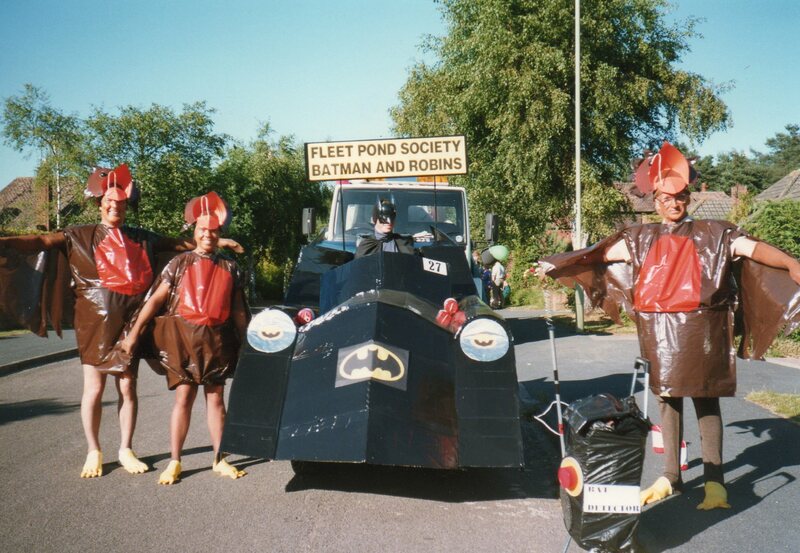 Fleet Pond Society have had some memorable floats in previous years (see below). 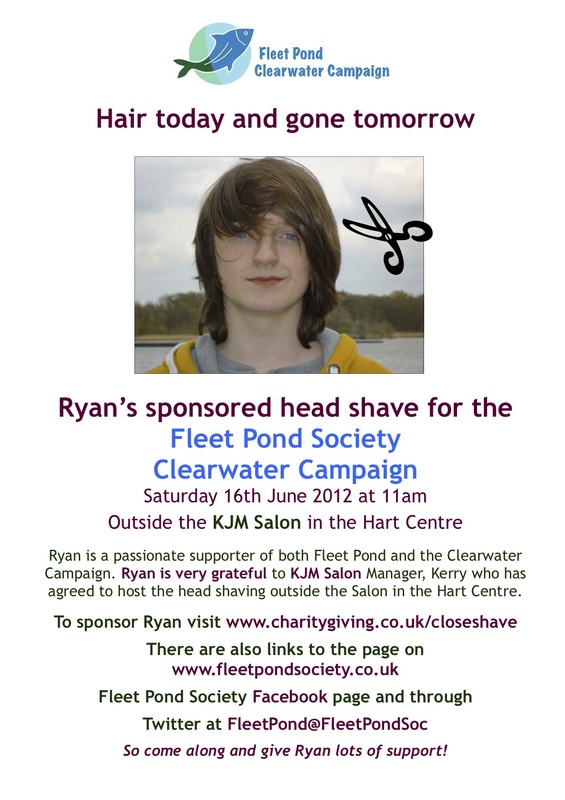 Why not come along and see what we’ve created for 2012? Picture credits: 2011 (Louise Isaacs). On this occasion we will be erecting post and rail fences to protect the bluebell banks from damage from people taking short cuts on foot or on mountain bikes. Several areas have been lost due to crushing or erosion and we try to deter this damage by erecting low fences that deter but are not too intrusive. We ask all visitors to respect the flora at Fleet Pond and to keep to the footpaths. Sandhills is south of the picnic site not far from the cattle corral on Coldstream Marsh (see map in About page above). Wellies should not be necessary but strong footwear recommended. You are currently browsing the Fleet Pond Blog blog archives for May, 2012.